Information Technology experts – Experience with a breadth of knowledge to extract, present and store your data. 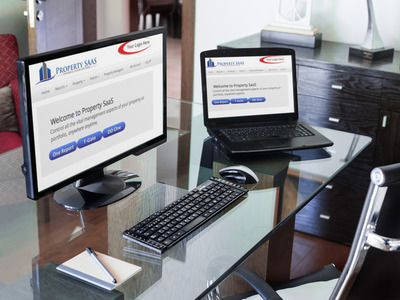 As MRI’s newest professional services partner in Australia for the MRI and broader Commercial and Retail property management community, PropertySaaS is an Australian based supplier of both professional services and products. The corporate offering ranges from independent strategic planning at the enterprise level for all aspects of resourcing in infrastructure and applications technology, to shared services, product implementation, training and support. Our senior consultants are experienced in dealing with sales and board level directors to interact with both publicly listed or privately listed entities, and suburban licensees and agencies. Generalised skills include hands-on experience with other products such as SAP, JD Edwards, Oracle, Yardi, MYOB, Xero, Saasu accounting systems. In addition to our technical skills, our team also incorporates significant functional experience with the MRI Software application from a financial background that allows us to provide relevant advice and assistance throughout the entire application lifecycle. From the initial implementation, right through to the production/live environment and future upgrades, we can provide detailed analysis and suggestions for both industry best practices, including internal business processes and how to get the most out of the MRI Software application. Our team is experienced with conducting a variety of training methods, including one on one and structured, classroom style for various end users, executives, super users, system administrators and any other user type. We have the flexibility to tailor training programs to suit many Client business needs and create user guides and instructional manuals to support multiple learning styles. We are able to provide comprehensive help desk service. Our high degree of customer service focus in combination with a deep understanding of all levels of MRI application support; from the servers and environment, through to the application and database level. We have the expertise to proactively work with clients to streamline the troubleshooting process and interpret requests/issues to provide solutions in a timely manner. Need more ideas or moving to new versions? Benchmarking: Is your system running as expected? we take responsibility, we learn and grow.